In 2003 we organized our first Indian Himalayas motorcycle trip. Then still on right gearboxlever Enfield Bullet motorcycles. This area is, of course, renowned for the highest road in the world and its beautiful passes and plateaus. Yet since there is so much more to see and we want to prevent having to return along the same route as coming in, we have chosen to ride a circular tour. 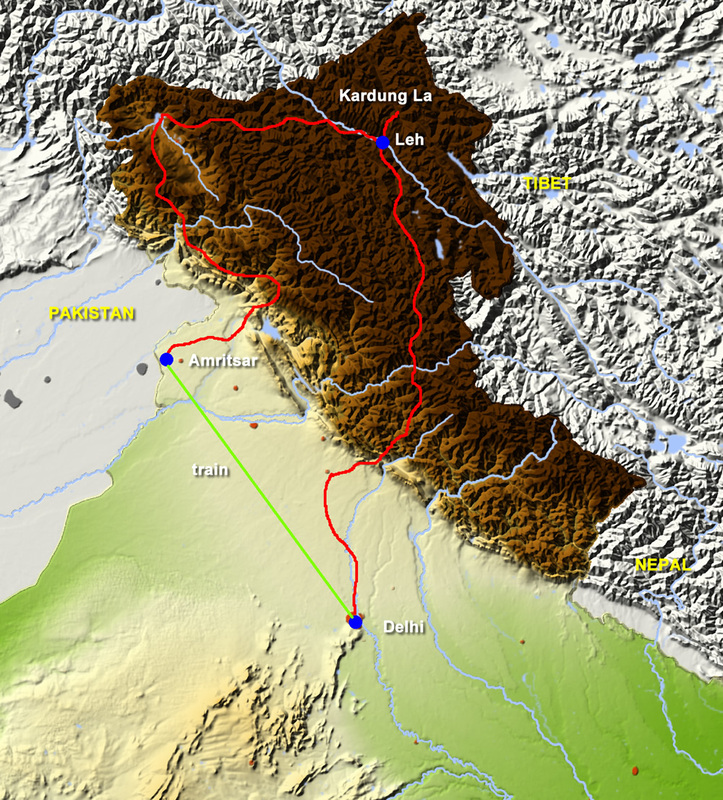 We start in the Sikh capital Amritsar and ride via the place of residence of the Dalai Lama towards the controversial but impressive Kashmir region in the extreme northwest. 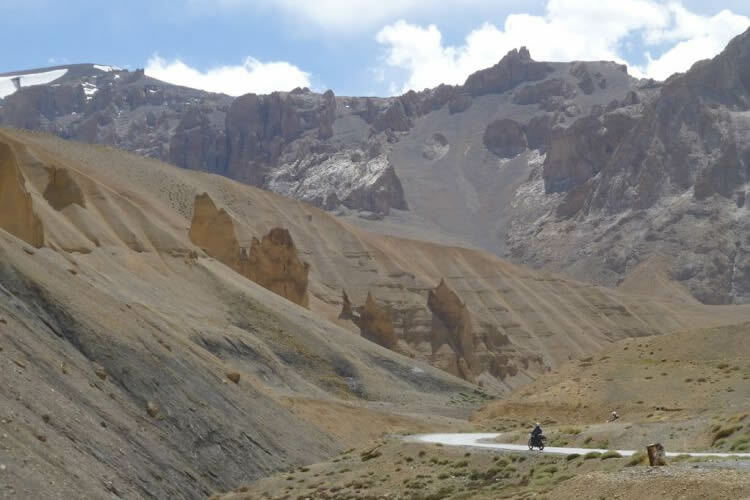 Next we slowly climb up the unrivalled altitude towards Leh, whence we ride along the highest road in the world. Riding through beautiful passes, we slowly make our way back down to the lowland and end the trip in Delhi. In conclusion, we pay a visit to the Taj Mahal. This journey, which can sometimes be challenging due to the high altitude, the poor roads and climatic conditions, is carried out on a classic Enfield through one of the most rugged areas in the world and offers you, above all, a complete picture of the cultures and sights of Northern India.